I am having twin boys in a month and have been very nervous about tandem breastfeeding. I have the TNP but otherwise am completely clueless! This is so helpful and encouraging, thank you for sharing! Thank you for sharing! I am due in June with my twins and have to say that breastfeeding is like a foreign language to me. This post is more helpful than any pregnancy site can offer. Instead of scaring me like other sites do, you've actually given me the confidence that I can do this. :) You & Amber are very smart girls for starting this blog. 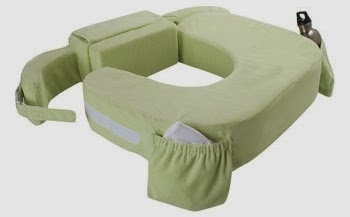 I wish I would've buckled down and bought that nursing pillow...I used two boppy pillows on top of each other and while it worked pretty darn good, it would've been nice to have a larger surface. From one twin Momma to another- I am SO proud of you, both!!!! 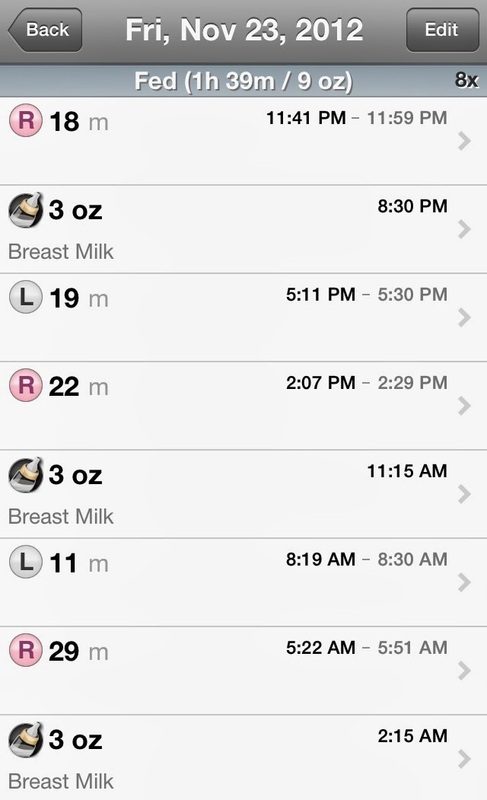 I was a strict "pumper" with my twins after one month... 2 rounds of Mastitis made me go to pumping. This blog would have been so helpful at the time. Maybe I would have given it another try! What wonderful advice. Way to go Momma's! Great post! I am nearing the end of my 12th month of tandem nursing (phew!) and here's my only input: I stopped switching sides when the twins were about 8 months old and it actually ended up being a great move for all of us. It turned out that putting my over-aggressive eater on my more finicky/sensitive side (left) was causing a lot of problems (mastitis, recurring plugged ducts, milk blisters, etc.) and once I just let her nurse exclusively on the right side and my son on the left, things got a lot better. I do think it's important to rotate them in the beginning, however, to build up supply. So there's my two cents! Reading this really makes me wish I would have breastfed longer! And I definitely wish I would have had the TNP! I second Ann Marie... SO proud of you both!! To this day, I still wear a hair pony tail rubber band on my wrist that keeps track of which side my boy nursed on last. I switch it to the other wrist at each feeding. I never switched side mid-feed. My girl had such terrible latching issues at first, I didn't want to disturb her. And the logistics were just too much for me. We didn't burp them until after they were completely done eating. 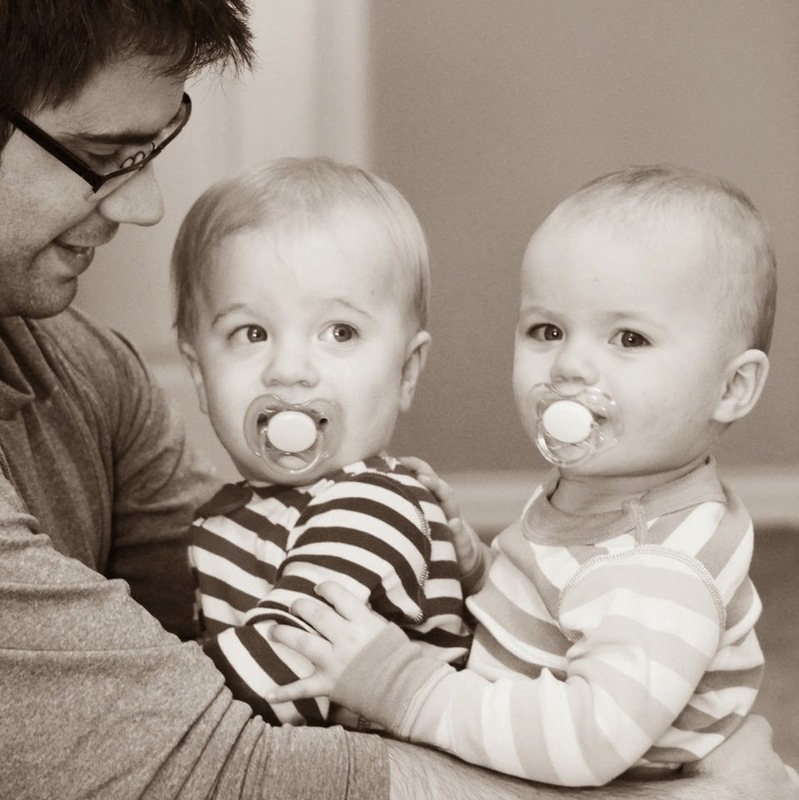 I loved tandem nursing my twin boys. I tandem nursed for nine months and then exclusively pumped. I just made up my mind that we were going to make it work no matter what. I was able to pump so much that my boys are still getting breast milk three months after I stopped pumping. My husband works nights so I did all night feeds solo. It was crucial for me to keep a stock of high protein food. The best tip I have is eat when your babies eat and keep your hospital water cup filled with water all the time! I agree that sometimes it hurts!! I have been exclusively breastfeeding my twin boys for 4 months now and hope to continue until they are a year old! I have TNP and it is definitely helpful. I didn't tandem until they were a little bit older because I thought it was hard to keep them both latched when they were really little without help. Now that they can latch on easily it is much easier. I actually prefer solo feeding so I only tandem in the morning when they 1st wake up and right before bed. Sometimes if they are both hungry at the same time, I tandem but most of the time they just want to play and not eat! So I end up solo feeding them anyways! I also solo feed in the middle of the night because they don't usually wake up at the same time. But I will wake the other up to eat if he hasn't woken already. I enjoyed this post and love this blog already! My boys are now 6 months old. We have done a whole mix of solo breastfeeding, tandem breastfeeding, pumping, and formula bottles. We weren't able to tandem breastfeed exclusively (alone) until about 2 months. I love doing it for a speedy feeding, but we are entering an eye-gouging, face pulling phase where feedings tend to be more productive feeding solo. I also solo nurse at night since I don't wake the sleeping baby. More wake ups for me sometimes, but sometimes one will sleep thru when the other doesn't. I usually tandem now for sure for their first feeding to establish the schedule and their bedtime feeding so they go down at the same time. And yes, it hurt, a lot, in the beginning. But FINALLY everything clicked and it has been such an incredible experience ever since! I'm new here, and I am so happy I stumbled on your blog! 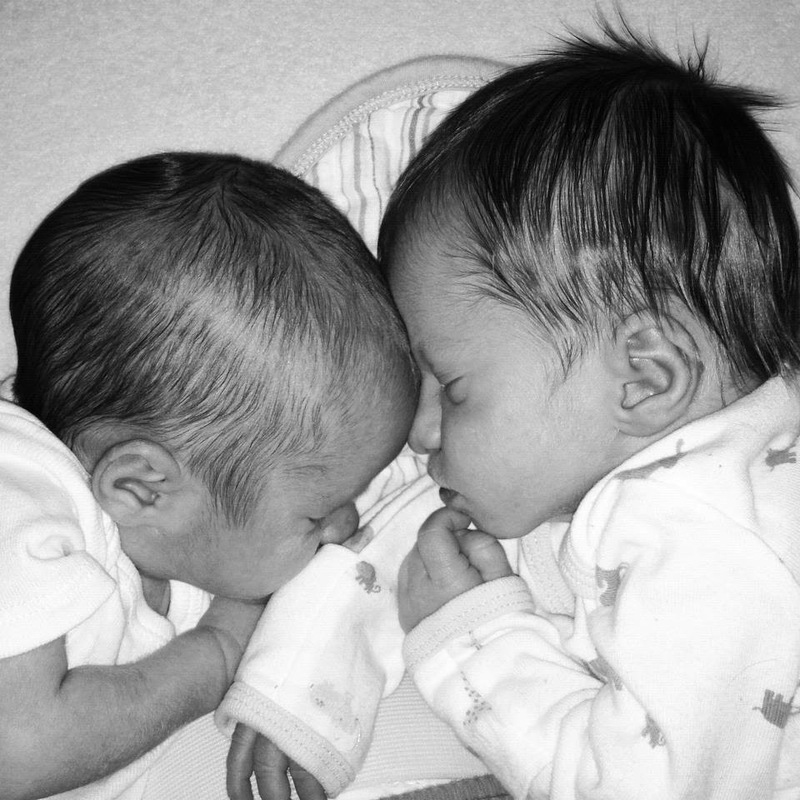 My b/g twins are 13 weeks old and I am exclusively breastfeeding them. (They will not take bottles yikes!) I was tandem at the beginning but my daughter needed a little more attention with her latch and still does. I am feeding them one after the other which I actually really love but my question is for naps and schedules how did you so things. Right now one of them is always about 15 min behind the other which is fine because they are napping in different rooms but is this always how it was for you as well or did you have another method to the madness!? Thanks so much and I'm so happy there is such an awesome blog like this to follow! How did you decide when to wean and what was the process?